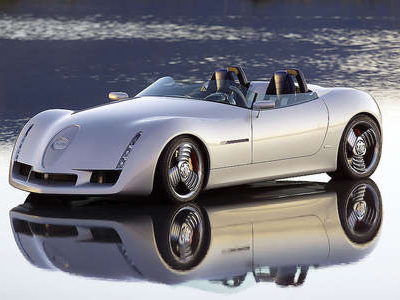 The Toyota FXS was one of 17 concept cars Toyota unveiled at the 2001 Tokyo Motor Show. The FXS was an upmarket two seat sports car powered by a front-mounted 4.3 litre V8 driving the rear wheels through a six-speed sequential manual transmission. 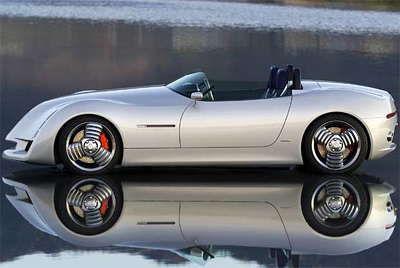 The top speed was 155 mph and it took just over 6 seconds to reach 60 mph. The exterior styling of the FXS was meant to be simple yet desirable and convey a sense of presence. 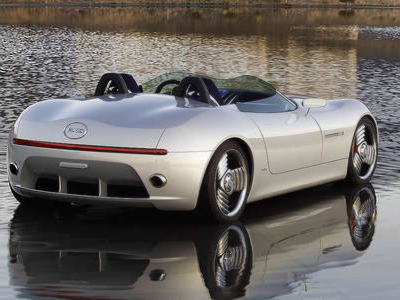 True to their intentions the designers gave the FXS a continuous flowing body with pleasing proportions. However the inset oval plaque up front looks oddly out of place, and the three spoke wheels look terribly dated compared to the rest of the car.